new media | Sounding Out! Editors’ Note: Welcome to Sounding Out!‘s December forum entitled “Sound, Improvisation and New Media Art.” This series explores the nature of improvisation and its relationship to appropriative play cultures within new media art and contemporary sound practice. This series will engage directly with practitioners, who either deploy or facilitate play and improvisation through their work in sonic new media cultures. The first essay in this series draws from a constellation of disciplinary perspectives that investigate these critical valences, and posits both play and improvisation as critical interventions which can expose, critique and interrupt the proprietary techniques and strategies of contemporary consumer media technologies. As media art scholars and curators of the annual Vector Game Art & New Media Festival, we are particularly interested in the conceptual convergence between critical approaches to play, on the one hand, and to improvisation, on the other. In this short essay, we therefore ask how improvisational sound-based media practices that use technologies, aesthetics, artifacts, and expressive modes of play may challenge the assimilative advances of corporate capital, carving out sites at which its logic may be opposed and confounded. We contend that there is a critical edge to the cultural milieu of playful computation through which practitioners (whether as artists or simply as players) can recuperate play from the mainstreamed sound cultures of digital capital through improvisation-based approaches. It is in this regard that play, as a participative act, rather than an interactive mode, can become a critical site by which to understand artistic interventions through contemporary technologies. This essay provokes a dialogue between theoretical avenues in popular music studies and game studies in order to show how the often-conflated practices of improvisation and play have the potential to challenge the homogenous and repetitive logic of the technological sector and the music industry. An algorave at Vector Game Art & New Media Festival. We must turn first to popular music studies where the critical valence of improvisation is a relatively well-established concept. Jazz improvisation in particular has been widely recognized as a powerful mode of political expression. Charles Hersch has argued that techniques of polyphony allow for jazz to reconcile the seemingly contradictory dynamics of individual expression and collectivity, thus allowing for the articulation of black solidarity through musical interventions (97-8). Because jazz is importantly built on appropriation-based creative models, it yields fluid, fleeting, spontaneous results that are difficult to assimilate into the entertainment industry’s property-based circuits. Digital play exhibits a similar potential of challenging the logic of capital; it harbors a powerful creative potential even in heavily commodified contexts. Play allows us (indeed, requires us) to become active in shaping the improvisational, the field of simultaneously critical, creative and performative contexts of expression. Crowds enjoying Vector Game Art & New Media Festival. Like jazz musicians, game players embody and enact a powerful sense of potentially uncommodifiable agency. Both improvisation and play function similarly, and highlight how contexts of music-making and game-playing activate individuals as critical, expressive agents. Players guide themselves through games based on subjective, rather than imposed, motivations. We can see this emerging in gaming cultures through the rise of player-based phenomena such ‘speedrunning,’ a practice that exploits glitches and faults in a game’s architecture in order to reach the end of a game in the shortest possible time. These niche and ephemeral gaming practices highlight the degree to which practices of improvisation in play may constitute a powerful way of pushing ‘through’ capital–both literally, by accessing games through glitches in their proprietary fabric, and figuratively, if we understand such forms of play as ways to resist the capitalist ideologies embedded within the structures of games (such as the accumulation of wealth, power, or points). Having established here how game-play can act as a form of critical improvisation, this essay now intends to show how these practices of playful improvisation are manifest in the technologies, aesthetics, and the cultural contexts of sound-based art. Circuit bending Vector Game Art & New Media Festival’s glitch.jam. 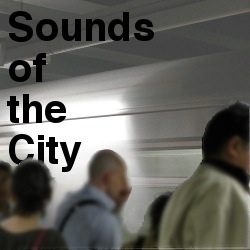 Where can we locate practices of improvisation in the context of sound art? For us, sound art is improvisational both in form and practice. First, the emerging aesthetic dimensions of the medium are fundamentally related to the participatory practices of making that have been used to develop the instruments of sound art, such as circuit bending, hacking, tinkering. Here, the playful and open-ended practices of making are a form of improvisation, a modulation within the typical technological frames in which musical composition is typically embedded. Second, when gaming devices are turned into musical instruments (or vice versa), users are called upon to rethink improvisational practice as game-play, and experiment with deploying play as composition. In this sense, game players become sound artists, with sound technologies extrapolating and improvising new sounds from the habit of their play. Improvisation and play thus allow emerging communities of practice to counteract the corporate ‘black boxing’ of entertainment technologies and the creation of closed systems of interaction and participation (such as many mainstream video games) which assimilate user activities and foreclose improvisational play. Such approaches to sound art are represented by many creative practitioners and take a wide variety of forms, including the appropriation and creative redeployment of participative game environments and game engines. Examples include the creation of interactive sound environments and playable instruments within mainstream participative game ecologies such as the Little Big Planet franchise, the hacking and ‘bending’ of proprietary technologies that invoke the vast universe of game culture nostalgically or in a parodic mode (including handheld gaming systems such as the Nintendo Gameboy, which spawned an entire electronic music genre known as chipmusic), or the making of non-proprietary infrastructures for creative expression that encourage open, participative play, such as open source live coding environments including Sonic Pi, originally developed for the Raspberry Pi platform. Following such approaches, game controllers, digital objects, avatars, virtual architectures, and digital artifacts can thus become tools of composition and/or improvisation. Similarly, we might also think of the improvisational frameworks constructed by sound practitioners as ‘playgrounds,’ which allow players to become performers who explore the technological, political, and aesthetic limits of play. But emergent communities of creative practitioners frequently adopt such close systems and technologies subversively, for example by reverse-engineering them and developing alternative uses. In doing so, they alter the contexts in which these technologies are employed, and open them up for use as musical instruments and infrastructure for creative and critical expression. Technological artifacts with unique user communities can thus be conceptualized as frameworks for musical expression. Vintage gaming consoles, games engines, and computational algorithms have all been reconstructed as new forms of musical creation and interaction through participatory creative communities. Thesis Sahib performs at Vector Game Art & New Media Festival. In this short essay, we have approached ‘play’ and ‘improvisation’ as related concepts that can serve to recuperate and empower critical perspectives within the game and sound cultures of capital. As we have suggested, playful approaches to improvisational sound-work and perspectives on play that are rooted in musical traditions can be productively discussed both in sound studies contexts and within game studies paradigms. 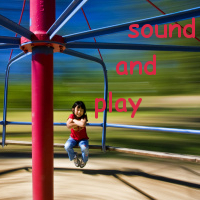 How, then, do sound practitioners appropriate game technology? How do the socio-political dimensions of digital game culture inform musical practice? With the help of our contributors to this series, we explore how critical perspectives on musical improvisation aid our understanding of the cultural and socio-political significance of play and, likewise, how critical theories of play may broaden our understanding of improvisational sound practices. Through building, tinkering, problem solving, and improvising on the technological back end, creative practitioners playfully create and reshape tools, devices, and techniques of improvisational practice that often embody important ethics of openness, dynamism, fluidity, and sharing, posited against the closed culture of proprietary consumer technology by which we are commonly surrounded. Between live coding, modular synthesis, creative computing, hardware hacking, and appropriation-based interactive performances, the contributors to this series operate in many creative modes that oscillate between improvisation and play. What all of them share is a sense that both play and improvisation enable creative expression outside of prescribed, commodified circuits of media consumption. Improvisation and play can yield wonderful aesthetic experiments and experiences, they can provide critical, social commentary, and they can sharpen our sense of the impact that proprietary technology has on our digital cultural landscape. What we are most interested in are moments when these ambitions converge, when improvisation – drawing on techniques or technologies of play and operating in modes that are associated with play – becomes critical. All images used with permission from Vector Game Art & New Media Festival. Featured image: ”Blip Fest 2011 @ Eyebeam, Day 2” by Wikimedia Commons user Lucius Kwok CC BY-SA. Happy new year, dear Sounding Out! readers! Early January brings about New Year’s resolutions, specials on bins for holiday ornaments, Three Kings’ Day, and our yearly MLA sound studies panel round-up. This year, MLA 2014 attendees will get another blast of cold temperatures because this year’s convention is in Chicago—not much of a difference weather-wise from Boston but just as exciting! 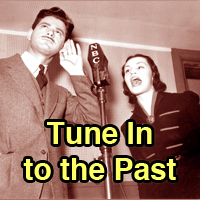 If you’re undecided about what panels to check out or if you’re not sure about where to start with the MLA Program, you’re in the right place: I combed the MLA Program page by page and condensed it just for our sound studies aficionados. If you’re sitting this MLA out or if you’re just curious about what the following panels are all about, it’s easy to follow the conference from home if you have access to Twitter. MLA is one of the most active academic conferences on social media: there’s the lively twitter hashtag #MLA14, the individual hashtags for each session (#s–followed by the session number), and an attentive twitter account (@MLAConvention), so even if you’re not in Chi-town you can still see what’s going on at your favorite panels this week. Whereas last year some of the sound-oriented panels had a particular digital angle, this year there are several panels look at the intersection of sound and literary studies. The titles may not suggest sound, but the presentations do. For example, panel #s384 Literary Crossroads: African American Literature and Christianity includes presentations on representations of gospel and spirituality in different African American books. Another panel of interest is #s414, Literature and Media in the Nineteenth-Century United States arranged by the Division on Nineteenth-Century American Literature. (This panel resonates nicely with Sounding Out!’s Sound in the Nineteenth Century forum which just ended last Monday.) The focus on literature may come from the fact that the MLA brings many literary scholars together, but it is encouraging that the study of sound is also overlapping with the study of literature. Despite that the convention brings literature scholars from across the United States together, some of the more intriguing sound-oriented panels are not focused on literature at all. In fact, several panels address sound from the angle of music. Panel #s131, The Musics of Chicago brings together High Fidelity and Lupe Fiasco, and panel #s162 on the HBO series Girls includes Chloe H. Johnson’s paper “Dancing on My Own: Popular Music and Issues of Identity in Girls.“ Although the fields of literary studies and cultural studies are sometimes in tension with each other, some MLA presenters are approaching popular culture particularly from an aural angle. Music is not the only presence of sound in the MLA Program. Several panels bring up sound in conjunction with pedagogy. Some of our readers may remember the forum Sounding Out! hosted last year on sound and pedagogy—a forum of which I was a part. I’m glad to see other language, composition, and literature teachers are thinking about sound too. Panel #s114, Dialects of English Worldwide: Issues in English Language Studies includes several papers that think about spoken English nowadays. For those who are interested in how the sound of students’ speech are intersected by structural racism and public policy will find lots to think about with this panel. If you’re looking for concrete suggestions on using sound as a pedagogical approach, panel #s213 has some answers. Twenty-First-Century Pedagogies, arranged by the Discussion Group on the Two-Year College includes a presentation on sound essays by Kathryn O’Donoghue from the Graduate Center at City Univ. of New York. Where will Team SO! 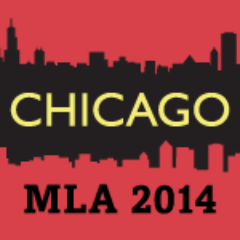 be at MLA 2014? Editor-in-Chief Jennifer Stoever-Ackerman can be found at the DH Commons pre-conference workshop on Thursday, January 9, 2014; she will be presenting Friday, January 10 at 8:30 am on her research on Lead belly and Richard Wright as part of panel #s221, Singing Out in the American Literary Experience. Regular writer Regina Bradley will be presenting Friday at 5:15 pm on panel #s403 Words, Works, and New Archives: Studying African American Literature in the Twenty-First Century. Guest blogger Scott Poulson-Bryant will be at panel #s447, The Seventies in Black and White: A Soundtrack on Saturday at 8:30 am. I will be presenting on Friday morning at panel #s218, a roundtable on the graduate seminar paper and will be leading panel #s788, Back Up Your Work: Conceptualizing Writing Support for Graduate Students on Sunday at 1:45 pm. You can catch us on Twitter: @lianamsilvaford and @soundingoutblog where we’ll be live-tweeting panels and keeping followers up to date on convention chatter. Who knows, maybe there’ll be an impromptu SO! tweet-up? Stay tuned to our social media feeds! Before I go, a shameless plug: As of this month I am the new editor of the newsletter Women in Higher Education, so if you want to meet up and talk about the newsletter please let me know! Did I miss something? Maybe I somehow missed you or your panel in this round up? Please let me know either via email, via tweet, or post on the Sounding Out! Facebook page. PRESIDING: Ryan Cordell, Northeastern Univ. ; Josh Honn, Northwestern Univ. ; Katherine A. Rowe, Bryn Mawr Coll. The workshop welcomes language and literature scholars who wish to learn about, pursue, or join digital humanities (DH) projects but do not have the institutional infrastructure to support them. Representatives of DH projects and initiatives will share their expertise on project design, outline available resources and opportunities, and lead small-group training sessions on DH technologies and skills. Preregistration required. Ellen Gruber Garvey, New Jersey City Univ. PRESIDING: Jeff Dailey, Five Towns Coll. 1. “Cutting Out the Castle Quicksand: Scott’s Bride, Donizetti’s Lucia, and the ‘Personally Furious’ Ayn Rand,” Shoshana Milgram Knapp, Virginia Polytechnic Inst. and State Univ. 2. “‘Drifting through the Intellectual Atmosphere’ from Scott’s Old Morality to Liszt’s Hexameron,” Catherine Ludlow, Western Illinois Univ. PRESIDING: Matilda Tomaryn Bruckner, Boston Coll. 1. “Gut Feelings,” Jason D. Jacobs, Roger Williams Univ. 2. “Tomboy Silence,” Wan-Chuan Kao, Washington and Lee Univ. PRESIDING: Elizabeth Bell Canon, Emory Univ. 3. “Star Spanglish Banter: Harnessing Students’ Linguistic Expertise,” Jill Hallett, Northeastern Illinois Univ. 2. “Experiment and Exodus in the Music of Chicago,” Toshiyuki Ohwada, Keio Univ. PRESIDING: Rizvana Bradley, Emory Univ. 2. “Queer Extensities: Pauline Oliveros and Disco,” Amalle Dublon, Duke Univ. 3. “Metal, Reproduction, and the Politics of Doom,” Aliza Shvarts, New York Univ. PRESIDING : Tahneer Oksman, Marymount Manhattan Coll. 2. “She’s Just Not That into You: Girls, Dating, and Damage,” Jennifer Mitchell, Weber State Univ. PRESIDING : Meredith Martin, Princeton Univ. 1. “Recovering Tennyson’s ‘Melody in Poetry’: Salon Recitations and Musical Settings,” Phyllis Weliver, Saint Louis Univ. PRESIDING: Stacey Lee Donohue, Central Oregon Community Coll. For abstracts, visit commons.mla.org/groups/the-two-year-college/announcements/ after 15 Dec.
3. “Musical Trangressions on the Cuban Stage: Rap, Rock, and Reggaeton,” Elena Valdez, Swarthmore Coll. 4. “Locating the Malecón,” Bretton White, Colby Coll. PRESIDING: Mark Allan Jackson, Middle Tennessee State Univ. 1. “Re-sounding Folk Voice, Remaking the Ballad: Alan Lomax, Margaret Walker, and the New Criticism,” Derek Furr, Bard Coll. For abstracts, write to majackso@mtsu.edu. PRESIDING: Terrence Potter, Georgetown Univ. 1. “How Strategic Can They Be? Differences between Student and Instructor Attitudes toward Language Learning Strategies,” Gregory Ebner, United States Military Acad. For abstracts, write to tmp28@georgetown.edu. 1. “Speaking for the Trees: Margaret Cavendish, John Clare, and Voicing Nature,” Bridget Mary Keegan, Creighton Univ. 2. “Clare’s Air: Sound in Motion,” Paul Chirico, Univ. of Cambridge, Fitzwilliam Coll. Paul Martínez Pompa, Triton Coll. PRESIDING : Shirin E. Edwin, Sam Houston State Univ. 1. “Narrative Approaches to Transmitting Regional Oral and Instrumental Literary Traditions in the Works of Aminata Sow Fall,” Julie Ann Huntington, Marymount Manhattan Coll. 3. “Women’s Schooling in Clarice Lispector’s Narrative: A Brazilian Education,” Alejandro E. Latinez, Sam Houston State Univ. PRESIDING : Jeff Dailey, Five Towns Coll. 2. “Aleatory Adaptation and Indeterminate Interpretation: Radiohead’s In Rainbows as Faustian Rock Opera,” Meg Tarquinio Roche, Northeastern Univ. 3. “Game Changer: Cage’s Word-Music Combination in ‘Renunion’ and ‘Solo 23,'” Sydney Boyd, Rice Univ. PRESIDING: Katherine Clay Bassard, Virginia Commonwealth Univ. For abstracts, write to kcbassar@vcu.edu. 1. “The Field and Function of African American Literary Scholarship: A Memorial and a Challenge,” Dana A. Williams, Howard Univ. 3. “Keepin’ It Interactive: Hip-Hop in the Age of Digital Reproduction,” Regina Bradley, Kennesaw State Univ. ; Jeremy Dean, Rap Genius, Inc.
Teresa Alice Goddu, Vanderbilt Univ. For project statements, panelist biographies, and description of roundtable format, visit19thcamlitdiv.wordpress.com after 1 Dec.
3. “Ineluctable Modality of the Visible: Gorky’s Return and the Onset of Clarity,” Petre M. Petrov, Princeton Univ. For abstracts, visit mlaslavic.blogspot.com/ after 30 Dec.
PRESIDING : Jack Hamilton, Harvard Univ. 1. “Mutts of the Planet: Joni Mitchell Channels Charles Mingus,” David Yaffe, Syracuse Univ. 3. “Broken Masculinities: Black Sound, White Men, and New York City,” Scott Poulson-Bryant, Harvard Univ. 3. “‘And Terrors Broke from Hill to Hill’: The Civil War Poems of George Moses Horton,” Faith Barrett, Duquesne Univ. PRESIDING : Harvey Young, Northwestern Univ. 2. “Frederick Douglass and the ‘Claims’ of Democratic Individuality in Antebellum Political Theory,” Douglas Jones, Princeton Univ. PRESIDING : Rachel Adams, Columbia Univ. 1. “Recoding Silence: Teresa de Cartagena, Medieval Sign Lexicons, and Deaf Life Writing,” Jonathan H. Hsy, George Washington Univ. 3. “‘My Worry Now Accumulates’: Sensorial and Emotional Contagion in Autistic Life Writing,” Ralph James Savarese, Grinnell Coll. PRESIDING: Jen Boyle, Coastal Carolina Univ. 1. “Needlework Networks: Paper, Prints, and Female Authorship,” Whitney Trettien, Duke Univ. 4. “Poetics of ka ‘āina and na ‘ōiwi: Language(s) of Land, Earth, and the Hawaiian People in Haunani-Kay Trask’s Night Is a Sharkskin Drum,” Nicole Tabor, Moravian Coll. PRESIDING : Ian Cornelius, Yale Univ. 1. “Singing and Speaking Boethius in Anglo-Saxon England,” Anne Schindel, Yale Univ. 2. “Sensible Prose and the Sense of Meter: Ethics and the Mixed Form in Boethius and After,” Eleanor Johnson, Columbia Univ. 3. “Boethius’s Consolation of Philosophy and an Expansive Theology in the Late Sixteenth Century: Queen Elizabeth’s Translation in Context,” Linda Suzanne Shenk, Iowa State Univ. For abstracts, write to ian.cornelius@yale.edu. PRESIDING : Joseph Litvak, Tufts Univ. 3. “The Semantic Feature [+INFLUENCE] and the Spanish Subjunctive,” M. Emma Ticio Quesada, Syracuse Univ. 4. “Palatalization in Chilean Spanish and Proto-romance,” Carolina Gonzalez, Florida State Univ. For abstracts, write to perezmukdsi@gmail.com. 1. “Imperial Disco: Czeslaw Milosz and Science Fiction,” Mikolaj Golubiewski, Free Univ. Annemarie Pérez, Loyola Marymount Univ. Abigail Scheg, Elizabeth City State Univ. 4. “A Life of Its Own: A Vital Materialist Look at the Medieval Manuscript as an Agentic Assemblage,” Angela Bennett Segler, New York Univ.